This post may seem a bit off topic at first but it reveals how corruptly much of this world operates. And where there is corruption, there are often corporate players involved. Corrupt politicians only have two ways of getting their illicit gains. The first involves ripping off citizens and residents. The second involves bribes from businesses that do business there. In many instances, the second method is far more lucrative. Earlier this year the Netherlands Secretary of Home Affairs and Kingdom Relations announced the Dutch government was dissolving the island’s governing body and relieving local officials of their positions. The move was said to be necessary to restore public order. There is no word on how long the takeover will last or when new elections will be held. Sint Eustatius is a tiny island nation with about 3500 residents. Although once it was a large trading outpost, modern shipping methods have left the island’s warehouses and harbor largely abandoned. While we don’t know what financial mismanagement and corruption Dutch officials found, we suspect that it wasn’t that big. The island’s economy simply isn’t that big. We do know, however, that corruption runs rampant in many areas of the Caribbean and in other areas of the world as well. A recent article in Face 2 Face Africa says that trillions of dollars were stolen by African despots and hidden in Western banks. That level of corruption can only occur when the business community supplies the cash. Mining companies paying for mineral rights, oil companies paying for special tax breaks and businesses paying foreign regulators to look the other way at flagrant human rights violations or worker mistreatment. These aren’t victimless crimes. Inevitably the taxpayers and citizens of the country whose officials are accepting bribes suffer. Sani Abacha, the former Nigerian despot, is believed to have stolen over $5 billion. The average Nigerian makes about $5,000 per year. Most of the developed nations have passed statutes that outlaw the bribery or attempted bribery of foreign government officials. Those laws are actively enforced. Under the U.S. Foreign Corrupt Practices Act, the Justice Department and SEC can prosecute businesses that pay bribes or attempt to pay bribes to foreign government officials. Many companies have gotten wise and now try to disguise bribes by using third parties or consultants as intermediaries. One company was recently caught offering the children of foreign diplomats high paying, no show jobs. Knowing that it is sometimes impossible to prove the actual payment of a bribe, the SEC will prosecute a company if it fails to keep adequate books and records. The SEC understands that catching foreign bribery is tough to do. Most of the acts of bribery frequently take place outside of the United States and rarely will a company’s books label payments to foreign officials as “bribes”! The Company I Wish to Report Is Not a US Company, Can I Still Get a Reward? The SEC has jurisdiction over any company that is registered with the SEC or sells shares of its stock on a US exchange. We will gladly help you determine if the company you wish to report makes you eligible for an award. I Am Not a US Citizen, Can I Claim a Reward? Again, the answer is yes! Often whistleblowers with information about foreign bribery are located outside the United States. As long as you have inside information and are not the mastermind of the illegal corruption scheme, you are eligible for an award. In fact, millions of dollars have already been paid to foreign nationals. Some whistleblowers don’t have direct knowledge of a bribery scheme involving the business community but know that foreign and U.S. banks are being used to launder the ill-gotten gains. The Justice Department can prosecute banks if the bank knows or should know the money coming through the bank is illegally sourced. Banks have a legal obligation to know their customers and perform due diligence on certain government officials or large depositors. If that bank has a branch in the United States (most do), there may be the opportunity to earn an award of up to $1.6 million under the federal FIRREA statute (Financial Institutions Reform, Recovery and Enforcement Act). Special rewards are also available for people with knowledge of companies or banks doing business with Iran and Syria. We know that foreign corruption bribery exists all over the world. 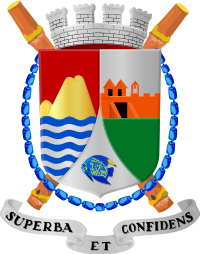 The takeover of tiny Sint Eustatius (Statia) by the Dutch government is unique. But the alleged corruption there is common throughout the Caribbean and the world. We even have it in some U.S cities. There is more to the story, however. When foreign bribery occurs, legitimate US companies are hurt and U.S. jobs jeopardized. Honest companies can’t compete when corrupt ones have free reign to stack the deck. Inevitably, these schemes also mean higher prices for Americans as well. If you have inside information about foreign bribery schemes or phony books and records, call us. All information is protected by the attorney – client privilege and kept confidential. or by phone 414-704-6731 (direct).